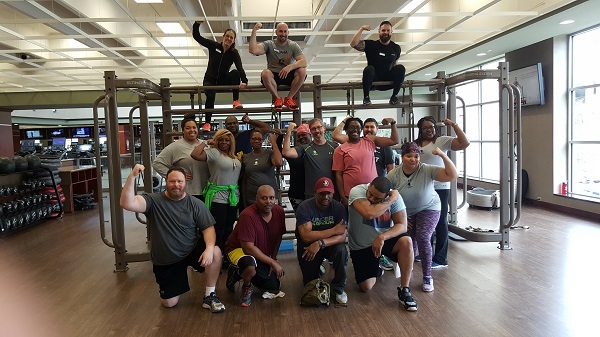 ATLANTA (Jan. 26, 2017) – A group of veterans served by Wounded Warrior Project® (WWP) recently learned new techniques for managing their physical health and wellness at an Atlanta expo. The three-day event was available to veterans of all fitness levels – no matter where they were in their recoveries. Throughout the gathering, WWP staff and coaches assisted in the physical – and emotional – challenges of the event. Valerie, like many warriors WWP serves, struggles with isolation. After serving for eight years and two tours – one in Iraq and one in Afghanistan – unfamiliar surroundings and new people left her feeling uncomfortable. WWP program events support the long-term recovery needs of warriors by reintroducing them and their families to the unique bonds experienced during military service. In a WWP survey of the injured warriors it serves, more than half of survey respondents (51.7 percent) talked with fellow Operation Enduring Freedom, Operation Iraqi Freedom, or Operation New Dawn veterans to address their mental health issues, and 29.6 percent expressed physical activity helps. Participants at the event enjoyed yoga, weight training, seminars on healthy eating, and TRX (Total Body Resistance Exercise) training. Physical fitness and weight training were only part of the expo. The staff and trainers also explained the fundamentals of nutrition and maintaining healthy habits. The seminars were hosted in a casual setting, offering warriors a chance to ask questions and chat with staff about their health concerns. Valerie lives in an area that makes gym accessibility very difficult, but WWP provided her and the other event participants with tools that make home workouts possible.